When it comes to guilty pleasures, reality television is mine. I hate to admit it but it is. I will pick a reality show over a scripted show any day, and as a educated, uplifting, advocating black woman I feel bad about it. *covers face* I feel like I’m not suppose to choose Bad Girls Club over Grey’s Anatomy but I do it anyway. See, reality tv and I go way back to my adolescence when I would sneak and watch MTV while my mother was gone. 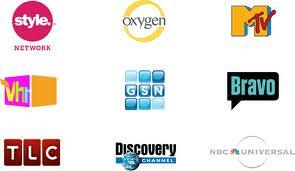 I couldn’t get enough of it; Real World, Road Rules, True Life, all the spring break shows, etc, I would be fully engaged. I loved talk shows too, except Jerry Springer. After, a light discussion with a friend about my television habits I got to the core of my love for reality over scripted television. Although, I love sitcoms and dramas on television and reality television is scripted to an extent, I connect to the human side of reality tv. I have this thing about people and have since I was a child. I always want to give people the benefit of the doubt and try to find the good in everyone. Overall, I find people interesting. What can I say? People are the reason I’m a journalist and minored in psychology during college. 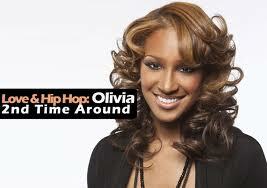 I noticed that Olivia likes to live in her past. And makes up this imaginary life. Last season, she lied about being with her ex-boyfriend still and got caught up. When she got caught she still didn’t admit that she was lying instead she just said something hurtful to Emily about her life. This season, she keeps mentioning her career as if she was really successful in the past, which she wasn’t, she just rode on the back of successful people until they dropped her dead weight (i.e. Clive Davis and 50cent). The truth will set you free… and because she holds on to lies about her life she will never be successful. Also, what ever she is hiding is not allowing us to know who she really is, which is another reason why she remains the chick who was in G-Unit. Nothing is transparent about her or relatable… except my next point. The way she talks about her past is in a very bitter way. Her mouth gets tight, her posture is no longer relaxed and her mood is heavy. She clearly hasn’t gotten over numerous things in her life when she really needs to let it go… or at least try. She is pointing more fingers than owning up to her mistakes and moving forward in a positive way. The bitterness oozes through her pores especially when she is faced with conflict. Nobody really wants to deal with that especially when it isn’t transferring over into her music. Stop with the excuses. She wants to revamp her career but she has yet to release a mixtape worth listening to let alone an album. If you want a lucrative record deal you have to get it poppin in these streets. Even Teedra Moses had to put out plenty of GOOD mixtapes before she got her deal with Maybach Music Group (MMG). I haven’t seen a tweet or heard one person talk about her music, besides her single December, and you think you’re worth a $500,000 record deal because of your past history that went nowhere, LIIIEEEESSSS!!! She walks away from conflict. Talks over conflict. In this instance she doesn’t want to face the reality of the situation or admit fault. She thinks she knows everything and has done everything. If this is your best then you might as well stop now. Even when Wayne Williams, A&R at Sony Music, tried to give her real advice she was getting defensive when the proof was in the pudding and her numbers just didn’t stack up on the charts. Overall, she has been reduced to just a pretty face and no one takes her serious nor have a reason to. I think we all could look at Olivia’s situation to reevaluate our own life. People don’t connect to an object and can only connect so much to technology, we connect to realness. I want her to succeed and everyone else, but these are some of the obstacles we have to go through internally in order to be a better person. Do you have any of these traits? Is there anything that should be added? Give me your feedback in the comments. “You hit the nail on the head”. I think Olivia needs to read this blog, maybe then she can move forward. Well put, I agree wholehearted. 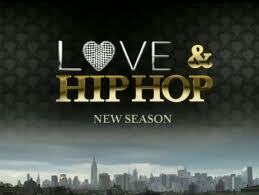 I Love this show “Love & Hip-Hop” because its Reality TV but everyone is in this fantasy that they are HOTT, when they aren’t. I don’t perfer Reality TV over drama/family/national news shows like Greys Anatomy, which I watch every Thursday 9pm ABC or the new show Revenge, which airs on ABC on Wednesdays at 10PM but Reality SHows are here to stay. Olivia is washed up, anyone serious would put out mixtapes and get some individuals behind them but she thinks she’s up there with Beyonce, Chrisette Michele, Jennifer Hudson, etc. and boo you are next to Somaya (LOL). She can sing but she’s not humble…hint hint why Tamar Braxton will never be the next singer EVER… What you guys think?